I have fond memories of snow. That’s because I grew up in the Mountain West, where I’d spend hours each winter watching my dad shovel snow from the warm privacy of our house. As a result, I can very much sympathize with the CarMax staffer who snapped this picture in Hillside, Illinois. Apparently keen on taking photos but not particularly intent on shooting good ones, the Hilldale CarMax employee drove this Saturn SL about four feet out of its row and brushed the side windows clear of snow, which may have involved rolling them down and back up again. But no attempt was made to clear the rest of the car. 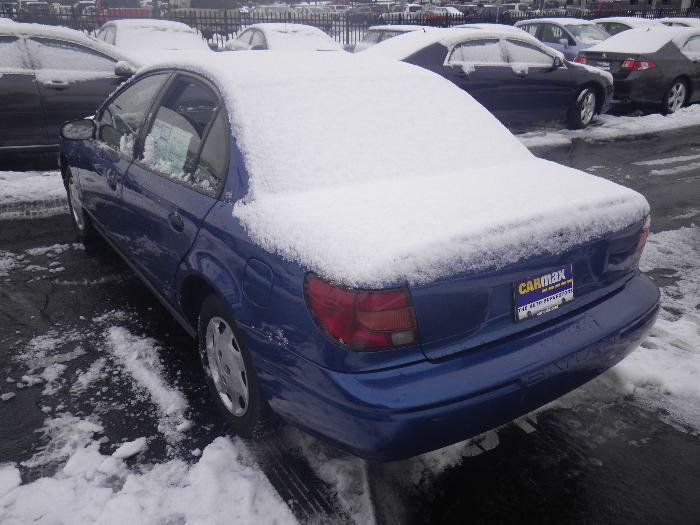 The result is a snow-covered Saturn which screams “buy me!” about as loudly as it did back when it was new. In other words, with the voice of a domesticated cat. Teasing aside, this car has already sold, proving that you don’t need good photos to sell a vehicle online. One can only hope they cleaned off the rest of the car before they allowed the new owner to drive away. You could have helped me shovel.